Kalua, who is being interrogated, is accused of hitting Singh with an axe on the head. and then the police Inspector was later shot by Prashant Natt. 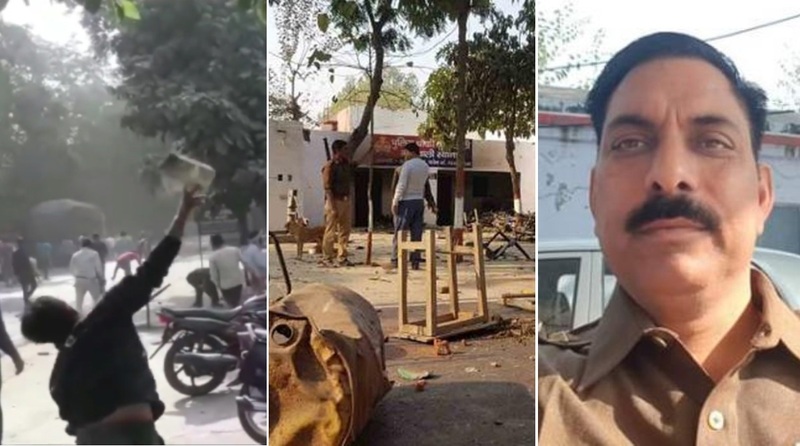 The new year started off with the arrest of another accused in the killing of police Inspector Subodh Kumar Singh during a mob violence in December in Uttar Pradesh’s Bulandshahr. Senior Superintendent of Police (SSP) Prabhakar Chowdhary told IANS the accused — Kalua, was arrested from a far-flung village of Bulandshahr in the early hours of Tuesday after the police received information about his presence there. Kalua, who is being interrogated, is accused of hitting Singh with an axe on the head. The police Inspector was later shot by Prashant Natt, who is already in police custody. The arrests come almost a month after the dreaded mob violence over cow carcasses in Bulandshahr. Initially the prime accused was Yogesh Raj, the Bajrang Dal district convenor, but he is still at large. Right-wing groups demanded action against some locals and blocked traffic on the main road after which a police team rushed to the scene, only to be attacked by an infuriated crowd. An FIR against 27 named people and 50 to 60 unidentified people were registered at the Siyana police station for the violence that was witnessed at Chingrawathi police post some Hindu right-wing activists found some animal carcasses in the field nearby Mahaw village of the district and took them on tractor trolleys to block a road. So far, 21 people have been arrested in the mob violence case. On December 19, five persons were arrested for their alleged roles in the mob violence and the cow slaughtering cases in Bulandshahr. Earlier in December, a top police officer and two other cops were transferred in connection with the violence. Over 80 former bureaucrats had written an open letter alleging failure of the state and central governments in the handling of the December 3 mob violence in Bulandshahr’s Siyana Tehsil. They had accused Adityanath of bigotry and sought his resignation over the violence in which an on-duty police inspector, Subodh Kumar Singh, and a civilian, Sumit Kumar, died after suffering bullet injuries. Uttar Pradesh Chief Minister Yogi Adityanath had first called the violence an “incident” but later said that it was a big “political conspiracy”.